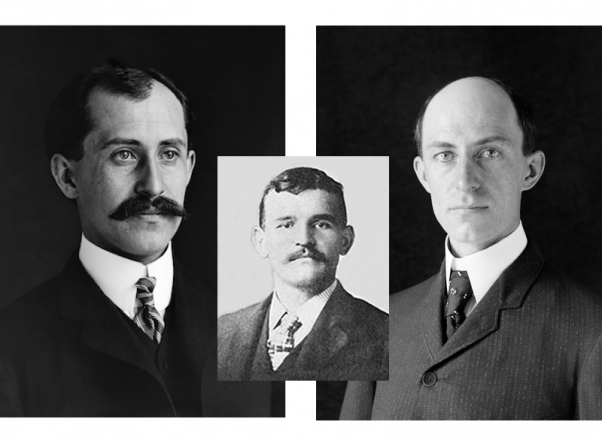 Gustave vs. the Wright Brothers: Who Was Really First? Today, we celebrate the 111th anniversary of the Wright brothers’ famous first flight. The brothers piloted the first powered aircraft 20 feet in the air lasting for approximately 12 seconds above the windy beaches of Kitty Hawk, North Carolina. Or so the story tells us. 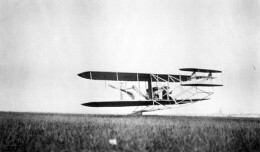 Over the decades, the Wright brothers’ first flight has been heatedly debated as to whether it was indeed the first flight of a powered aircraft. Some historians claim that Gustave Whitehead, an immigrant from Bavaria, Germany, successfully took flight several years before the Wright brothers. Staunch supporters of this theory claim that Wright historians have looked over the compelling evidence that proves their claim and have since pushed for recognition of Whitehead’s feat. This debate has been vigorously debated in the media, questioning who should take the fame for achieving man’s ability to fly heavier-than-air machinery. To understand the debate, let’s first introduce the individuals of this historical narrative. Many aviation buffs are familiar with the Wright brothers, Orville and Wilbur, native Ohioans who flew their flyer above the outer banks of North Carolina in 1903. Known as the men to be “first in flight”, they laid the foundation for the aviation industry. Conversely, Gustave Whitehead and his supporters have worked to claim the title. Whitehead, born on January 1, 1874, had always been fascinated with flight. Schoolmates dubbed him “The Flyer” due to his intense study of birds and building model parachutes and gliders. He pursued his passion for aviation and in 1895, decided to immigrate to the United States to continue his research. If true, these flights would prove that Whitehead preceded the Wright brothers in powered flight. Several of Randolf and Phillips’ assertions in the article are a bit peculiar and have drawn critics to question the validity of their evidence. Let’s put to the side that it was more than three decades after the flights and nine years after Whitehead’s death in which the article was written, which could possibly taint any evidence that existed, i.e. people’s memories of the event, and that no follow up could be made with Whitehead. Much of the article drew from a previous story by The Bridgeport Herald newspaper published on August 18, 1901. The journalist claimed he witnessed a night test of the plane, in which at first it was unpiloted, but filled with sand bags, with a second follow-up flight with Whitehead at the controls. 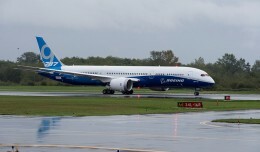 To begin, an initial testing of an aircraft’s flight ability at night is extremely dangerous even by today’s standards. Not to mention that aircraft of the pioneering days proved tricky to handle and the likelihood that it flew without someone at the controls while landing without incident may be deemed implausible. John Brown, historian and author of gustave-white.com, argues, “These days, people don’t rely on editors or historians. If they want to know what happened in 1901, they simply read 1901 newspapers online.” Some historians would agree with Brown that the Internet provides a plethora of information for people to conduct their own research. However, unless that individual is trained in cross examining evidence with other primary sources, then they are just as apt to be misdirected by the newspaper articles about Whitehead as the historians who claim that he flew; especially if they are unfamiliar with the history of newspapers. It is not unknown that some newspaper publications are known to stretch the truth or even write fantastical stories that have no semblance of truth, i.e. The National Enquirer or Weekly World News. However, these techniques had long been invented before modern practices. In fact, hoax journalism has been around since the first publishing of newspapers, but it would reach its apex in the 19th and early 20th century. In fact the famous author, Mark Twain, began his career with hoax journalism. With this in mind, many stories dating from this era cannot be taken at face value without some other evidence to support it. This is not to say that Whitehead’s airplanes were never built. In fact, there are many photographs with Whitehead posing in front of his invention; however, none show the aircraft in flight. Many of Whitehead’s supporters claim that news of his flight quickly spread in the U.S. and Europe. 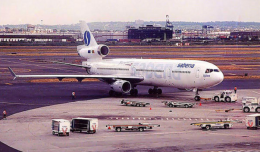 While this is true, it is interesting to note that while the story was printed in over eighty papers, including the Boston Transcript and the New York Herald, it was not published in the other four daily newspapers in Bridgeport where the flight took place. In fact, the story did not even make the front page of The Bridgeport Herald, but rather it was found in the “Features” section. Now let us assume that the newspaper article(s) had misspoke about the accounts of how Whitehead’s experiments took place. Let’s look at the evidence that remains. 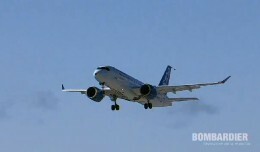 Unfortunately, as mentioned before, there are no photographs proving the aircraft in flight. There is a lithograph provided by supporters of Whitehead’s claim, but any drawing can be created by from a talented artist. Also, Whitehead was not able to duplicate his achievements. After completing three successful flights with powered aircraft, Whitehead then goes on to build more gliders. If he had positive results, wouldn’t an inventor continue with perfecting his design? Not to mention, there is evidence that in 1906 and 1908, Whitehead built two aircraft for Stanley Beach, son of the editor of Scientific American, in which both designs failed. Supporters argue that Whitehead was more of a mechanic and did not have a propensity for bookkeeping. Still, it begs the question, why could he not reproduce his earlier results? One final point in determining the validity of Whitehead’s claim is the original design of his flyer. Like the Wright flyer, modern engineers have built replicas of Whitehead’s design. According to the supporters, in the 1980s and 1990s, several replica-versions of Number 21 were flown in the U.S. and Germany thus proving that those built by Whitehead were capable of flying “and most likely did”. The opposition researched this concept of “new archaeology” which refers to the discipline of recreating “the circumstances of an historic or prehistoric event as closely as possible” while keeping in mind the issues that come up “using the technology available at the time” in order “to better understand that event and the people who lived through it” (wright-brothers.org). The purpose of these experiments is to test the possibility of it working, not to prove that it indeed occurred. With this information, the flights conducted with the Whitehead replicas do not prove that he ever flew although supporters use this as part of their argument that he did. Either way, the replicas used modern ultralight engines and high-speed propellers which ultimately defeats the purpose of the experiment as this technology did not exist in Whitehead’s time. It may seem absurd that the Smithsonian Institute was forced to agree to such terms, but the history is more complex. While today it is widely accepted that the Wright brothers were first in flight, this was not the case in the early 20th century. The Wright brothers fought to protect their patents while other builders quickly tried to find ways around them. One famous dispute occurred between the Wrights and Glenn Curtiss and the consequential “Patent Wars”. To provide the backstory of the agreement, Curtiss rebuilt an experimental aircraft designed by Samuel Langley on behalf of the Smithsonian Institution in order to prove that other aircraft could have flown before the Wright’s Flyer in 1903. This resulted in a divide between the Wright brothers and the Smithsonian Institute and would not be resolved until 1948 when the aforementioned agreement was made. It was only at this time that the Wright Flyer was returned from Europe to the Smithsonian museum to be put on display. As for the research conducted for this article, much of it derives from the primary sources of newspapers articles and publications from Whitehead’s era. In addition, previous historians’ findings were called upon from two main web sources that represent both sides of the debate: www.gustave-white.com and www.wright-brothers.org. While the websites are biased in their opinions, other resources were used to either contradict or support their findings. So did Gustave Whitehead achieve flight before the Wright brothers? With the evidence at hand, it does not seem plausible. However, if new evidence comes up to dispute the Wright brothers’ claim then we can be certain historians will adjust the canons of history. Meanwhile, there is not enough to overturn the Wright brothers’ place in aviation history as first in flight. Melanie Rivera is a Virginia based freelance historian writing primarily on aviation history. She has her Master’s degree in History and is currently a student pilot working on a tailwheel endorsement. More of Melanie’s work can be found on thepublichistorian.net. Contact her via email at [email protected] or follow her on Twitter @loveofflight. A more reliable website is located at http://www.gustavewhitehead.info. I believe that visiting the Gustave Whitehead FAQ section will open eyes to the furious battles the Wrights fought to gain (unwarranted) recognition, and the actual accomplishments of Gustave Whitehead. Unfortunately, today’s historians merely repeat historical opinions, rather than search primary sources themselves. There are a lot of historians not affiliated with the Smithsonian who have yet to be presented with any good evidence that Whitehead flew anything other than gliders. Whitehead joins the list of people who did NOT fly a controlled, powered, piloted, heavier-than-air airplane for more than a nominal distance. Herring, Ader, Maxim, Langley etc.